Barrie Graffiti Removal | Gorilla Property Services | Call us Now! Staining builds up around your property every day. Most of the time, it is little by little but graffiti happens all at once. You might go to sleep with a clean space and wake up to a neon design splashed across your space. Now, you might have a few choice words for the stain itself, but words won’t get the job done. You’ll need a Gorilla in your corner for that! Our Barrie graffiti removal service can remove the stress from your vandalism and the paint from your walls. 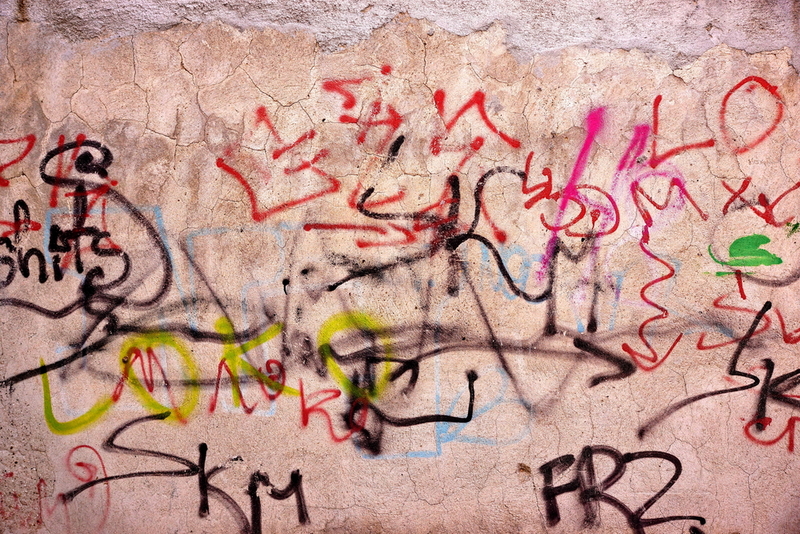 What Makes Graffiti So Popular? If you are noticing a rise in graffiti artwork being splashed across your community, you aren’t alone. Property owners all over Canada are being hit daily with tags or designs. This is unpleasant and gives off the wrong impression of your home or business. Spray paints are easy to carry, use and find. Aerosol paint can be found in just about any department or hardware store. These paints might have been designed as useful tools but now they are a vandals best friend. These paints are easy to carry, quick to store, and require no more than a working trigger finger to operate. What better way for street artists to leave their mark than something that you can throw into a pocket, use quickly and then walk away? 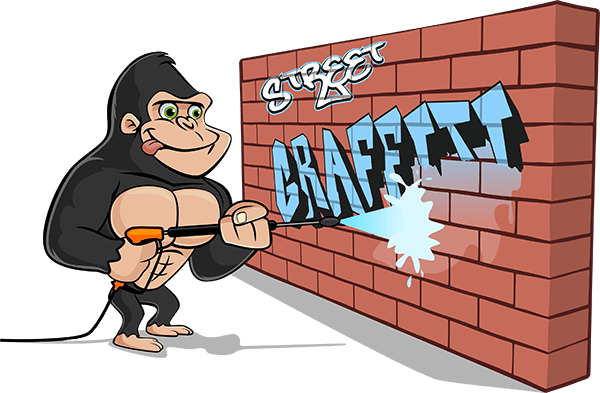 Our Gorillas are fighting back against graffiti vandalism by making our Barrie graffiti removal as easy as possible for our clients. Often the graffiti on your property is no more than a tag or simple design but every once in a while, something ugly gets painted on. Our Gorillas strive for quick action for all of our Barrie graffiti removal services but we take extra care to remove any hate speech or racist images. Don’t let negative imagery stain your property any longer than it has to. When you call Gorilla Property Services, you are enlisting not just basic removal techniques but the most thorough removal around.